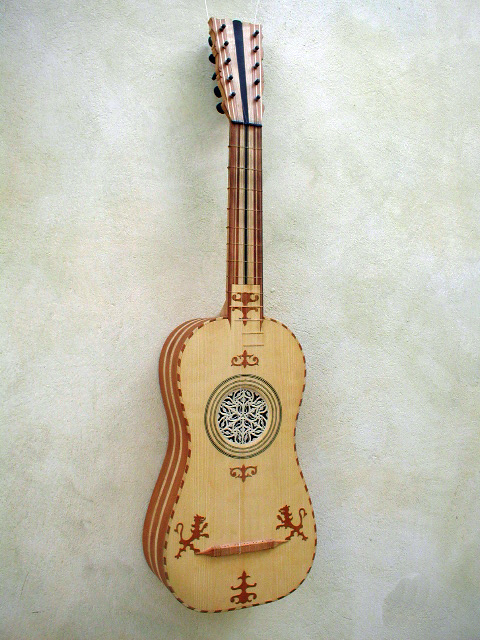 Based on surviving anonymous instrument in the "Museu de la Musica" in Barcelona. String length of 63-65 cm. 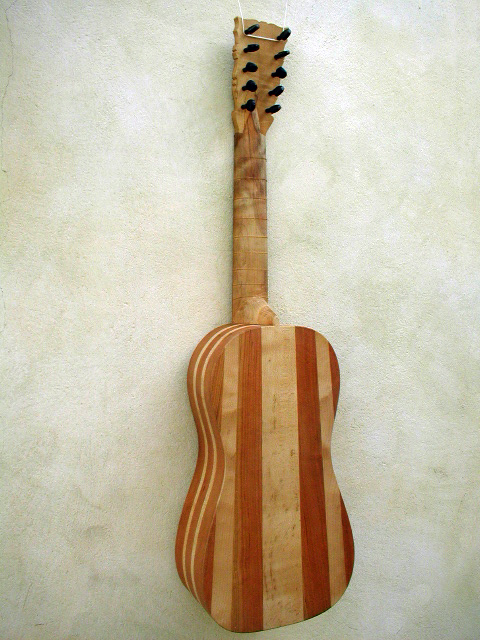 With a flat back. 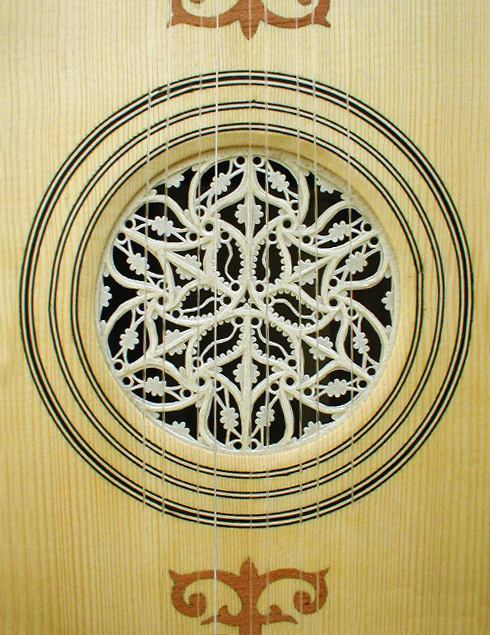 Inlayed soundboard. 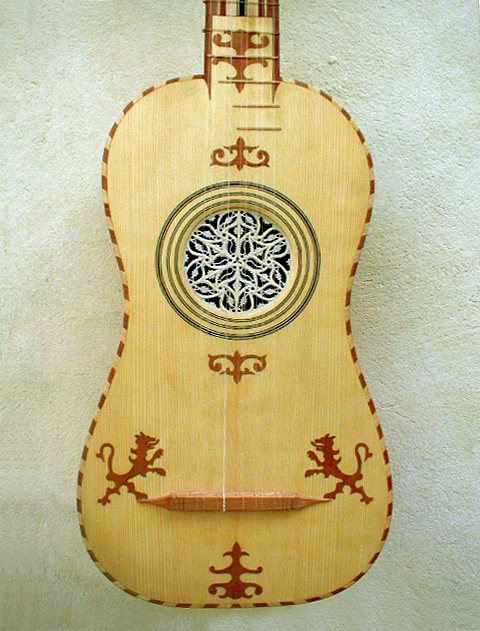 Made of walnut and cypress, like the original, and a spruce soundboard (the one on the picture is made of cherry and maple). Parchement rose and ebony pegs.